Sitting just south of the main continent, Tasmania is a microcosm of Australian life and culture in a landmass about one-tenth its size. 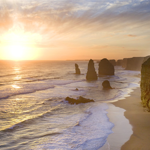 Tasmania combines the rugged, natural landscapes of the mainland Outback, populous city-centers like Hobart, pristine coastal beaches and a storied history that lends to a culture that is distinctly Tasmanian. Take a look at some of these must-see places and things in our list of 10 amazing things to do in Tasmania. Start off with a venture in to one of Tasmania’s most renowned natural treasures. Cradle Mountain National Park is one of the most visited parks in Tasmania, which is no surprise when you first lay eyes on the mountainous expanse and wild landscape. The park combines rugged trail terrain with ancient rain forest, glacial lakes and some of Australia’s few sites of alpine vegetation. Take a relaxing stroll around Dove Lake, about a 2-circuit nestled in a mountainous valley beneath Cradle Mountain itself. 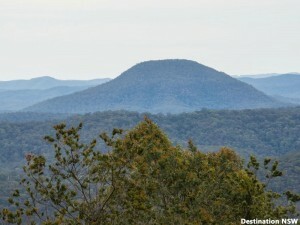 Or if you’d prefer more of a challenge, trek to the Summit for unprecedented views of the park’s vistas. This 6-hour return walk takes the road less traveled, straight up the steep side of the mountain. While you trek through various hiking trails, you’ll want to be on the lookout for the deciduous-beech. Found only in Tasmania, this tree is best known for its brilliant color transition in the autumn months and in fact one of very few trees to lose its leaves in winter in Australia. Established in the mid-1800’s as a penal settlement for prisoners and convicts, Port Arthur has a dark and storied history. Situated just on the south-east end of the Tasman Peninsula, the site now acts as an open-air museum to its troubled past. Most buildings have been maintained in their original state, as they would have been seen nearly two centuries ago. The historical significance of Port Arthur earned it a UNESCO World Heritage Distinction and it continues to attract more than 300,000 visitors annually. Port Arthur reigns year after year as the number one tourist destination in all of Tasmania and is surely a can’t miss attraction. Carve out at least a full day in your itinerary for exploring all that Port Arthur has to offer. You’ll want to take the guided tour to learn the most about Port Arthur’s history. There is so much packed in to Port Arthur it’s hard to appreciate it all without an expert giving you the inside scoop. Check out this full day tour that takes you from Hobart to Port Arthur, including a guided walking tour of the Historic Site and a cruise around the harbour. Feeling spooky? For those looking for a scare, this tour tacks on a night time ghost tour. If the stories of Port Arthur seem grim by day, just wait until you walk the grounds at night and hear tales of its haunted history! You didn’t think you came all the way to Tasmania to miss out on seeing it’s most famous animal, did you? See the Tasmanian devil in a habitat that is as natural as it gets at the Tasmanian Devil Unzoo. An “Unzoo” is an inside-out take on a traditional zoo where the devils roam free in their natural habitat, unencumbered by cages or fences. See how the devils would interact in the wild and witness the feeding frenzy that happens several times a day. You’ll also get a chance to feed kangaroos and wallabies by hand, but don’t think this is your average petting zoo experience. 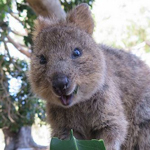 Instead of putting your hand full of feed up to a hole in a chain link fence, you’ll get to experience these friendly foster-marsupials hop right up and eat from your hand. Having fun and showing support for a good cause go hand in hand at the Unzoo as they work closely with the Tasmanian Devil Conservation Project to protect and proliferate this native endangered species. The Unzoo works to breed healthy devils that can be released in the wild to bring up the population of this dwindling native creature. Tip: The Tasmanian Devil Unzoo and Port Arthur Historic site make a fantastic back-to-back, full-day excursion. Garnering some new-found attention this year after being featured in the Oscar nominated movie “Lion”, Mt. Wellington is quickly rising to one of the top tourist destinations in Tasmania. The more than 4,000-foot mountain is impossible to miss. Its jagged summit imposes high above the city of Hobart that rests in the valley beneath. Wilderness that seems a world away is just minutes from the city. An easily accessible lookout atop Mt. Wellington allows sweeping panoramic views of Hobart and its surroundings. Check out Mt. Wellington’s incredible rock formations including the towering dolerite columns called the Organ Pipes. Along the 21-kilometer drive to the summit of Mt. Wellington keep an eye out for the diverse range of local plants, from rainforest-like to sub-alpine flora. In fact, the summit is regularly capped with snow during the winter months. The overall Wellington Park area in which Mt. Wellington is located offers up a plethora of outdoor activities. Trail walking, rock climbing, mountain biking and more are available in this amazing mountain destination. See Mt. Wellington, Russell Falls (an amazing 3-tiered waterfall) and Bonorong Wildlife Park in one great nature tour. 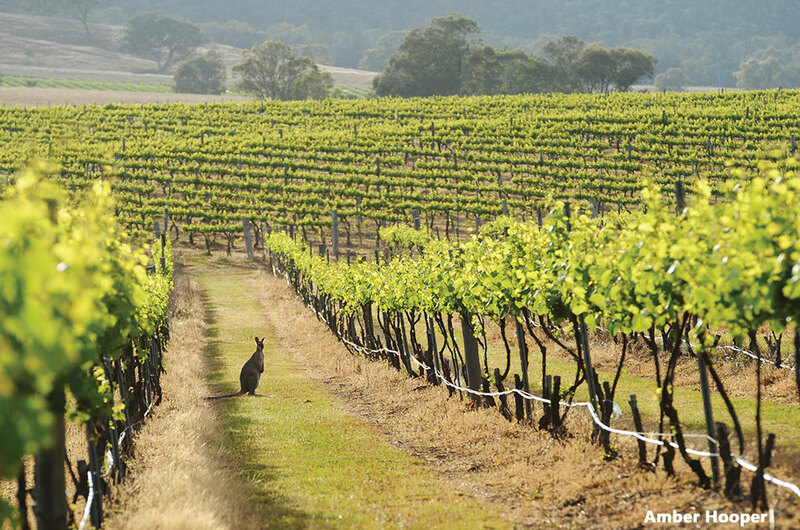 Nearly 200 wineries dot the landscape of Tasmania. Its temperate climate has put Tasmania on the global map for cool-weather wines like white, sparkling white and dessert wines. Luckily, most vineyards in Tasmania are located just a short distance from the cities like Hobart and Launceston, making them easily accessible even if you have only a short stay in Tasmania. 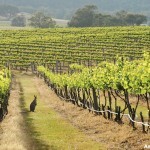 Wine trails or wine routes combine several of the best of Tasmania’s wineries in a countryside wine tasting road trip. 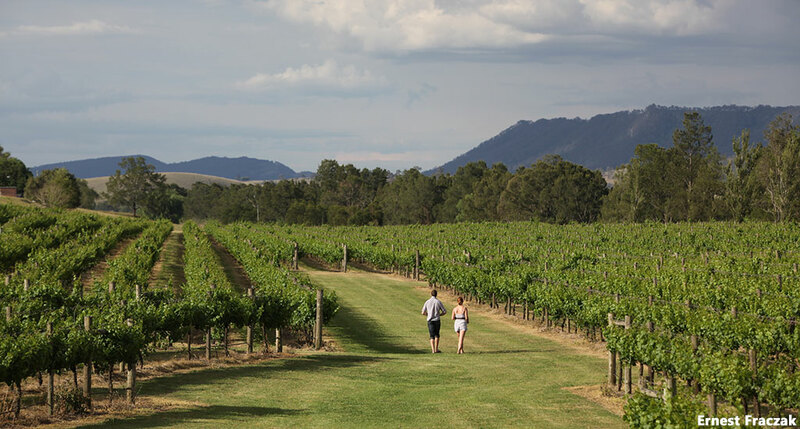 Wine trails are the perfect way to sample the different region’s wines that make up Tasmania’s rich winery culture. Vineyards in Tasmania are lush and beautiful. Taste your way through some of Tasmania’s best vintages and see why this up-and-coming wine scene has finally arrived. This eclectic gem of a museum is an expansive, subterranean vault of art that ranges from ancient Egyptian mummies and relics to thought-provoking, contemporary art. Upon entering MONA, descend the seemingly endless staircase to the depths below where you begin your journey. MONA is privately funded by David Walsh, a professional gambler, businessman and art collector who built his fortune by using his educational background in mathematics and computer science to develop a system of gambling, placing bets on horse races and other sports. Walsh’s eccentric professional history is reflected in the work shown at MONA, which he once described as a “subversive adult Disneyland”. He personally curates some of the most cutting edge international modern art pieces, displaying them alongside works from his own private collection. Leave yourself a decent amount of time to check out MONA, as each visitor is provided with a digital tour guide that uses GPS to give information about each piece as you walk around. Commentary from the owner, the artist and interviews allow an in-depth, informative experience. No trip to a museum is complete without a glass of wine to go with it. Moorilla is MONA’s own winery and vineyard. Every step of the small-batch wine making process is done in house for purely local Tasmanian wine. 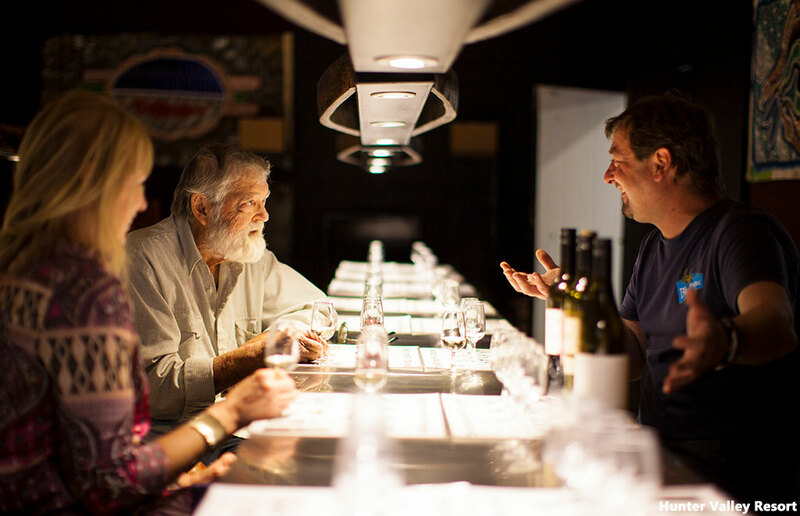 Combine your tour of MONA proper with a tour of Moorilla Winery. See the wine making process from start to finish, from the picking of local grapes, to bottling and aging and taste ten of Moorilla’s prestigious vintages. Located in Freycinet National Park tucked away from main roads and highways, Wineglass Bay is a beautiful, secluded beach area that is a must-visit in Tasmania. Wineglass Bay is a hugely popular site, despite the 45-minute walk from the parking lot to the Lookout. Check out the bird’s eye perspective of the Bay and its unique, crescent-shaped beach, from which it derives its name, set against mountainous peaks. The view is incredible, but you’ll want to take the time to trek down to the Bay itself. From the Lookout, walk down to the shore and you are rewarded for your efforts with the pristine turquoise water and white-sand shore that has given Wineglass Bay the distinction of one of the top-ten beaches in the world. In the warmer months, take a dip in the crystal-clear water surrounded by an incredible mountainous backdrop. If it’s a little bit too cool for a swim, simply enjoy the serene coast and beach area. You may even have the beach to yourself as far fewer tourists make their way down in the colder months. If you’re looking for a unique and distinctly Tassie shopping experience, look no further than Salamanca Market. More than 300 market stalls flood the Hobart waterfront every Saturday, selling food, local crafts, artisan jewelry, clothing, plants, flowers and more. Salamanca Market is a perfect way to spend a Saturday morning. Grab a cup of coffee and peruse the vendors selling their wares, see buskers playing music, chat to the locals and just enjoy the general atmosphere of this famed market. Plenty of stalls offering breakfast and lunch options are around, so make an event of your morning or afternoon here and try out some local cuisine while you shop. A trip to Tasmania wouldn’t be the same without a stop at Salamanca Market which is considered one of the best and most popular cultural experiences in Tasmania. Another striking example of Tasmania’s iconic landscape is Bruny Island. Technically two land masses, a narrow isthmus called “The Neck” separates North and South Bruny. Bruny Island is well known for its amazing geology and unique rock formations. Towering cliffs like “Monument” and “Breathing Rock” are some of the tallest natural cliff formations in the world. As you ferry out to Bruny, you’ll be dwarfed by these geological wonders that are unlike anything you’ve ever seen. Some of Tasmania’s best wildlife live and thrive in and around Bruny. Starting with the ferry ride over to the island, you may spot dolphins, whales, and other marine life that swim near Bruny. Once you’ve made landfall, the island itself is home to seals, albatross, eagles, and an array of wildlife so impressive it rivals national parks around the world. After your amazing wildlife spotting excursion, you’ve probably worked up a bit of an appetite. Luckily, there is no better place to dine on local cuisine than Bruny Island. Try out local, fresh-caught seafood and cheese made from the local dairy in this combination wildlife spotting and foodie tour. 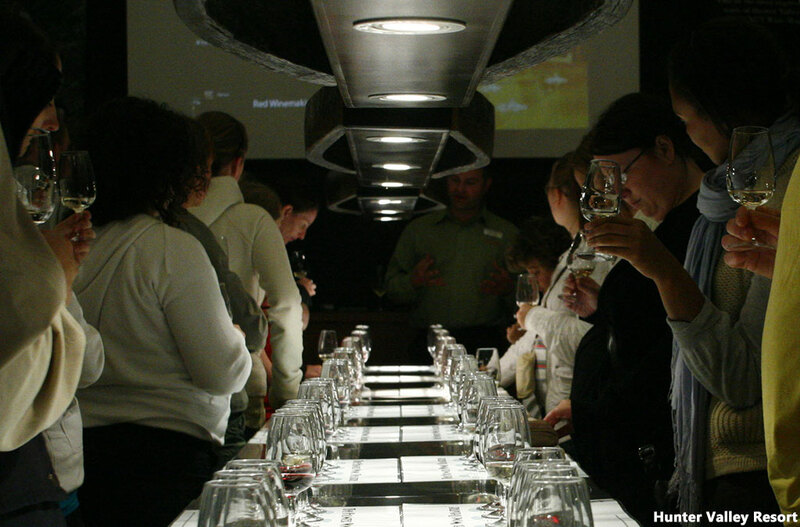 Bonus tip – the tail end of this tour includes a visit to the Bruny Island House of Whisky where you can sample some of Tasmania’s finest single-malt whiskies. You’ve no doubt heard of the Northern Lights, but did you know the southern hemisphere has its own light show in the sky? Best seen in the winter months, the Southern Lights are visible from basically all over Tasmania. All you need to do is wait until dark, make your way to a spot free of trees and tall mountains and look up. The Southern Lights aren’t as well-known as Aurora Borealis up north, but the light show is equally incredible. Trek out to locations with the least amount of light pollution like South Arm Peninsula, only 25 miles south east of Hobart, during the southern hemisphere’s winter months and you’re in for a spectacular astral showing. Let us help you fall in love with Tasmania. With so much to see and so many things to do in Tasmania, planning it all out can be a job in itself – that’s where we come in. Our passion is spreading the beauty and culture of Australia to as many people as possible and it’s all we do; all day, every day. We can give you the ins and outs and ups and downs of Tasmania and all of Australia. Our travel experts can make your arrival at point A, B and C completely effortless. 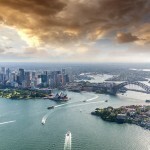 With a continent as massive as Australia (roughly the same size as the U.S. ) and the fact that all it takes to ruin a good vacation is a missed flight, ferry connection or shuttle, you don’t want to leave anything to chance. Create a trip with us and make memories that last a lifetime.